Numerous machines for cellulite reduction promise to deliver permanent improvements. Whilst many of them are powerful and effective, it's important to select the right type of machine if your main concern is diminishing orange peel skin. bea Skin Clinic's Sonishape RF machine emits precisely targeted bipolar radio frequency waves from a specialised handpiece. The depth of the Sonishape's radio frequency waves combined with the mechanics of the machine's handpieces make the Sonishape one of the best machines for cellulite reduction - treating both superficial and fibrous connective tissue. Cellulite may feel like a medical condition to those who struggle with it. In truth, cellulite is nothing more than normal fat deposits under the skin, usually around or below the pelvic area. Cumulating within fibrous connective tissues, cellulite causes the skin's surface to appear unevenly bumpy or dimply. Cellulite formation is often unrelated to a person’s weight or body shape; its causes may vary from hormonal disruptions to hereditary traits. Many non-invasive cellulite reduction treatments (such as skin creams, therapeutic massages and even dietary plans) are often ineffective. 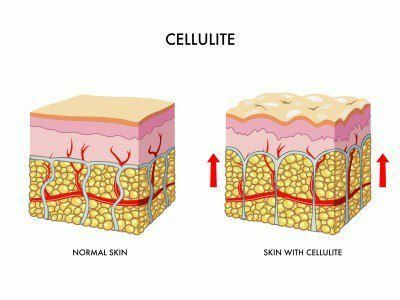 How can I eliminate cellulite naturally? If one’s cellulite formation arises from diet or changes in metabolism, simple changes in lifestyle will do the trick. Eat clean food, balance your body’s metabolism and meditate to reduce daily stress levels. Help, I have tried everything, nothing works. Many experience a blow to their self-confidence when cellulite starts to build. Some choose to cover it up while others seek help and try every possible solution, to no avail. But don’t worry, here's the good news: according to research, bipolar RF treatments can effectively reduce cellulite when other treatments are ineffective. Our bipolar RF machine is called the Sonishape RF machine. I want to know more about the best machines for cellulite reduction. Over the past 70 years, RF technologies have been used in oral, ophthalmic and gynecological medicine. Directed waves of electrons are utilised to induce frictional heating of the targeted tissues, coagulating or ablating unwanted tissues. Nowadays, non-ablative RF energy can non-invasively reduce cellulite whilst protecting the outer layer of skin. How does the Sonishape treatment actually work? In short, the current generated by the Sonishape RF machine penetrate into the fibrous tissues. Heat is then generated by the frictional resistance of your tissue. With enough heat, the fat cells are encouraged to release their lipid contents. What about other RF machines? Monopolar RF machines (for e.g. the Exilis device) require a grounding pad to complete the circuit. Why is the Sonishape RF preferred for cellulite, therefore? Well, Monopolar RF waves are better for fat reduction, as they often penetrate the body too deeply to affect superficial cellulite - which is what the Sonishape RF treats very effectively, making it one of the best machines for cellulite reduction. The Sonishape RF is a bipolar RF machine specifically designed to emit controlled waves between two electrodes. This means that each circuit is completed by the two electrodes over the desired and targeted problem area, reaching the exact depth needed to effectively deal with cellulite. Eager to get rid of cellulite from your body? 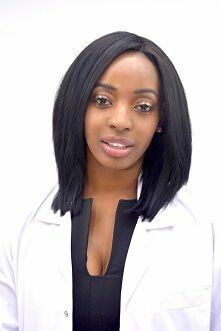 Contact bea Skin Clinic today to begin your cellulite reduction treatment.